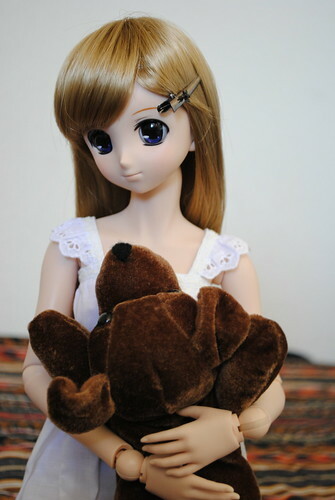 It really has been such a long time since I last featured Nanoha. I haven't really featured Nanoha on my blog at all since her introduction back in November of last year. In part that has been because I haven't bought her anything since then. Too many games and figures and what not being released in the ending and beginning months of the year. 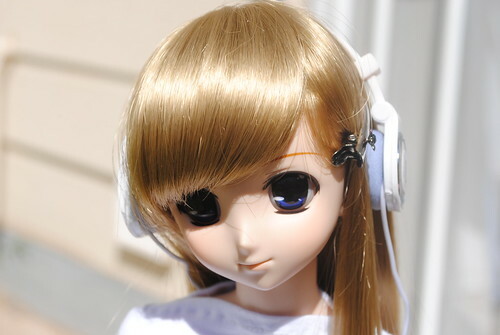 Seeing Mr MVP's posts of his idol like Haruna over at figure.fm started an itch to get my Nanoha a new wig and some clothes. Hmm...those new heels make Nanoha's legs look so long and slim. 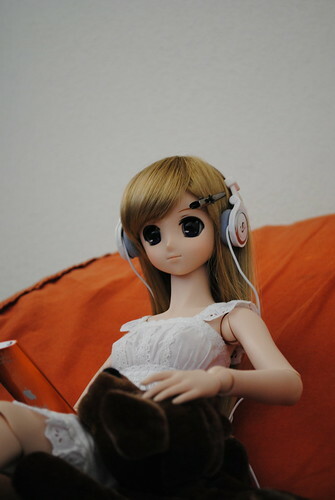 Apart from the new wig I got her some headphones, ever since I saw some 1/3 doll headphones I been wanting a pair. However, with a 5000yen price tag I found that to be too high of a price. After all, I don't even buy myself headphones that expensive. Luckily for me I found this pair at Angell Studio along with the wig for only $10. Surprisingly enough these headphones do work, plug them in and they produce sound. I also got her this pretty one piece dress. I been wanting a simple white piece for a while but hadn't found one to my liking. I been thinking of asking the lovely chun for a commission since I liked the dress Saki wears in the Eden of the East movie quite a bit. Two things I got to mention. 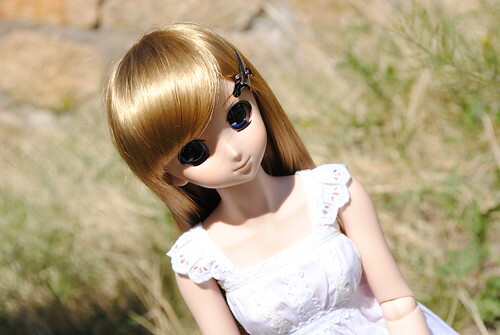 The first, the wig looks quite different in color depending on lighting. I like the golden shine this wig has when the sun hits it directly the best. 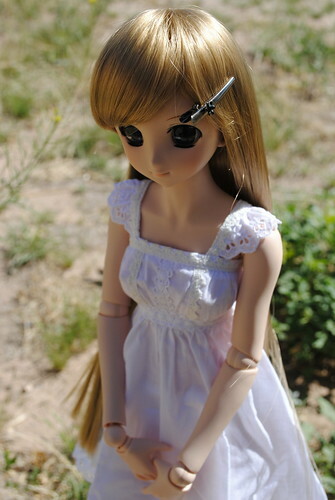 The second, is that this dress was made for a Luts girl who are little slimmer than Dollfies making it emphasize Nanoha's modest M bust quite nicely. 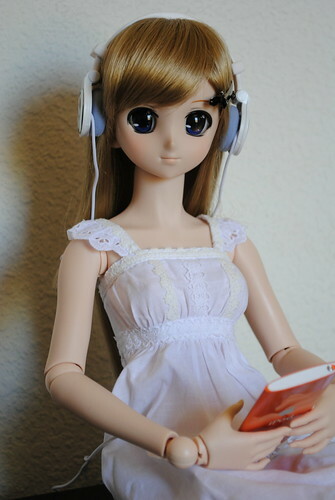 Hope you enjoyed taking another look at my Nanoha musume. Follow me at Twitter if you are so interested.